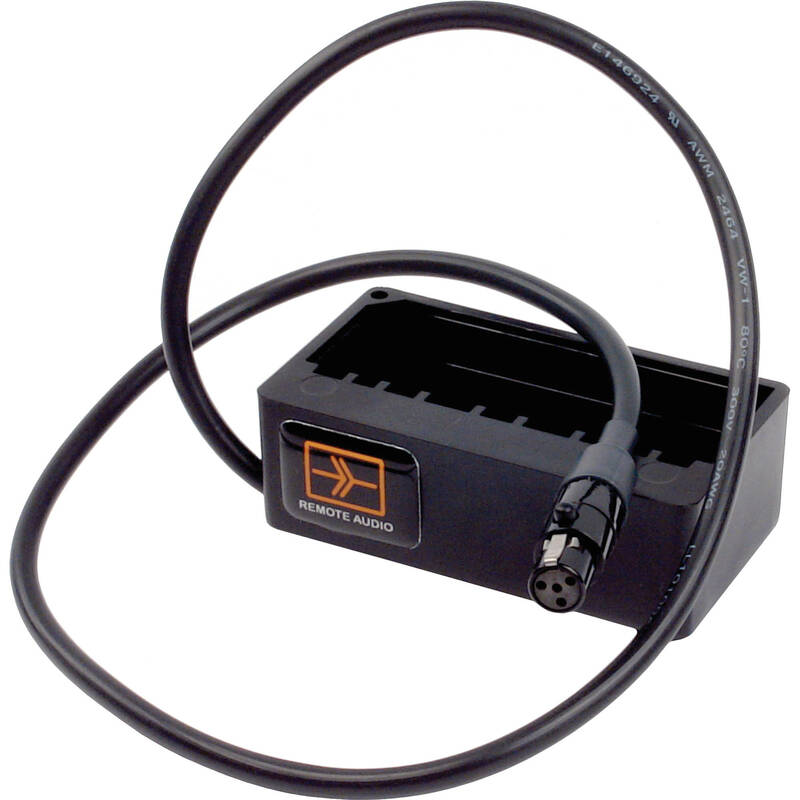 The Remote Audio 24" BDS Input Cable with NP-1 Battery Cup to TA4F is a power cable / adapter system that features a TA4F (mini XLR 4-pin Female) connection and adapts an NP-1 battery to the Remote Audio BDS (Battery Distribution System). The BDS distributes power to multiple devices from the connected battery. Box Dimensions (LxWxH) 7.85 x 3.15 x 1.6"
24" BDS Input Cable with NP-1 Battery Cup to TA4F is rated 4.0 out of 5 by 6. Rated 3 out of 5 by Anonymous from One trick pony This is a simple device, purchased to connect to my Remote Audio BDS. The build quality seems fine, and batteries fit snug without appearing to be at risk of falling out. Be aware that this particular battery cup has a connector that works with the Remote Audio BDS, while other battery cups use a Hirose or XLR type connector. This is the only NP-LS7 battery cup that I have used, so the only comparison I can offer is that other battery cups are usually more expensive. I feel the price for battery cups in general to be a bit high for what they are, but I suppose the market demand is very small, which is why price isn't. Rated 5 out of 5 by Isaac from Solid Cup So far, so good. Like all NP-1 systems the main issue is the non-locking connection, but the connection is pretty tight on this one, and like all Remote Audio products, workmanship is in high order. I use it with VariZoom NP-1's without issue. If you are getting the RA BDS box, you pretty much have to get this cup as the connection is RA specific (I think...). But it's worth it. Better deal than other brands. Rated 1 out of 5 by Paul from Becomes loose over time This item has become loose over time and I have had a few unexpected power outages. It's only a few months old. It has been used in a protective pouch and should have lasted forever. A colleague of mine here in the Bay Area had the same thing happened with his. I'm typically impressed with Remote Audio equipment but this piece has not been good for me. Rated 5 out of 5 by Anonymous from Handy gadget It does it's job, pretty self explanatory.